Every once in a while, when looking for an awesome green story to share with you each week, I find a story that elicits within me an immediate YES. The tiny house blog was one of those stories; Livia Firths recycle-chic couture, another. Well, friends, I have stumbled upon another such story. As you know, Im interested in green architecture specifically, tiny homes such as those made by the Tumbleweed Tiny House Company. These houses may be, well, tiny, but they pack a powerful punch when it comes to sustainability and living simply. But if its even possible, I have found something that makes the tiny house movement even better: making the houses out of recycled materials. Its called Cargotecture. The movement really got started when the city of Amsterdam needed student housing that was cheap, mobile, and quick. 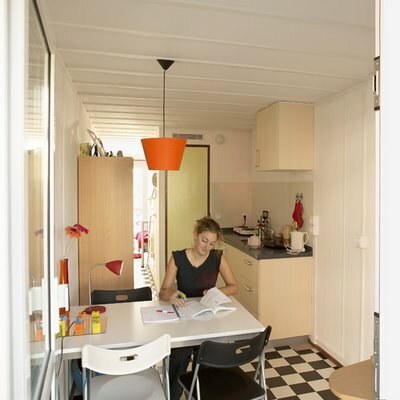 A company called Tempohousing stepped up to the plate, creating a complex called Keetwonen that contained 1000 housing units that fit those three seemingly impossible requirements. How, you ask? My love for this movement stems from more than the fact that I keep misreading it as corgitecture. (Can you imagine? Houses made of little stubby-tail-wagging puppies?? I digress). The houses, made of recycled shipping containers, can appear somewhat stark on the outside. But on the inside, they are just as nice as any other house. In fact, its safe to say that the Keetwonen homes are a lot nicer than whatever dorm you lived in during your freshman year of college. Each unit has their own bathroom, kitchen, and balcony, and the walls are well insulated and more soundproof than you might think. 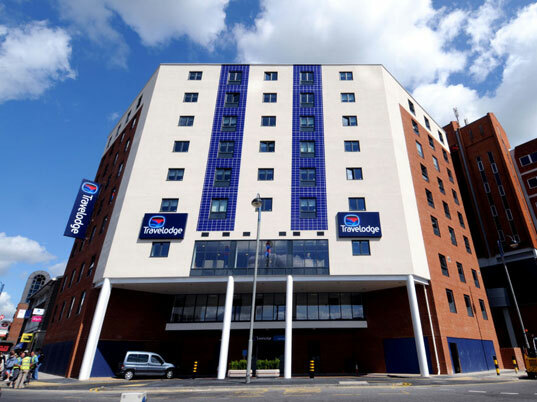 Because of the use of recycled shipping containers, the hotel was able to be built 40-60% faster, for 10% cheaper, with a 70% reduction in normal construction site waste. With these buildings, it seems that theres no limit to the benefits or the possibilities. But even cooler, they have something intriguing that others dont: a world-traveling history. Says Kirk Lance, owner of a Mexican restaurant made out of a shipping container: "This thing, it's had a life. It was born somewhere, and it's traveled the world and hauled millions of pounds of who-knows-what. And it ends up as a little restaurant in a street corner in Portland, Oregon." As someone who loves imagining up histories for thingsthats pretty tempting. While I might want to dress up the outside a little bit more, I could actually see myself living in one of these homes one day if the situation was right. Theres much more I could say about these tiny sustainable beauties, but Ill turn it to you, NatuREporters! What do you think of these little recycled homes? Would you have lived in one during college? Would you live in one now? Next:Brew Your Own Clothes?! Growing Green Clothing with KombuchaPreviously:The Zero-Trash Family: Could You Do It? Make Your Fourth of July Red, White, Blue - and Green! I can imagine living in a house constructed from some shipping containers - just maybe not a single one. I've come across variations on this theme elsewhere on the web and my favorites tend to be the mixed-layout ones where the containers are stacked in various arrangements and shapes - not uniform and lined up all in a row. As much as I admire the simplicity that goes with living in a single container, I do agree that it would be hard to sustain for long. It would actually be perfect for me right now, but I'd like to have a family sometime in the next 10 years, and that would be awfully difficult. But you're right, there are some awesome designs made out of multiple containers! I'd love to have one as a garage! This is amazing! I love creativity!! I would have definitely lived in one as a student. The military should think of using this idea for their dorms as well. I love how they used multiple ones to build one big house. Now I am wonderin...I could use an add on to my own home for an extra bedroom?? I will have to investigate. where's the closets! we need some storage room! Wow! I'm amazed at how nice they are on the inside. I would definitely consider living in something like this. The single ones aren't much different from a trailer home. This is very creative and does get one thinking. 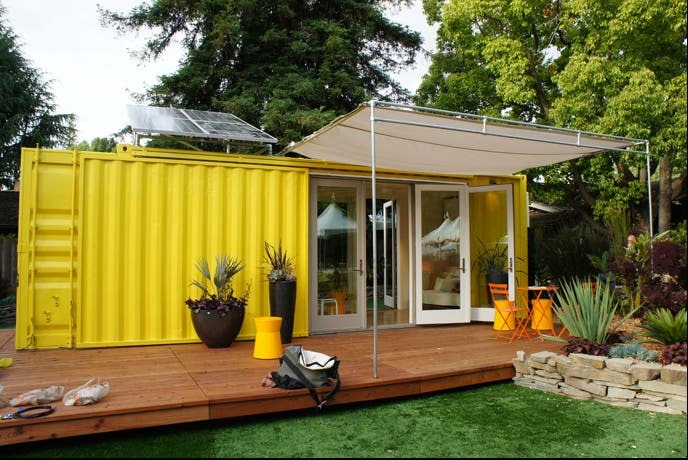 You are here: The Smart Living Network ► Green ► Blogs ► [NatuREport] Would You Live in an Old Shipping Container?